ES-Divers provides cost-effective depth and habitat surveys of lakes, reservoirs, and coastal areas using the latest technology. We maintain an in-house inventory of SyQwest survey-grade depth sounders (±1 inch at 1000 feet of water depth) combined with our Trimble sub-meter GPS units. 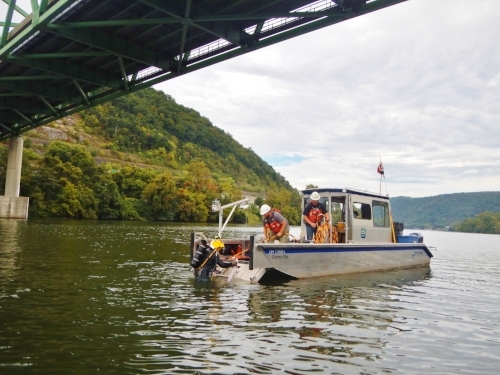 We have the capabilities to perform a wide variety of specialized marine surveys including sub-bottom profiling and substrate mapping, where underwater substrate roughness is mapped automatically using high-powered sonar. We also perform side-scan sonar surveys for identifying underwater objects such as wrecks, containers, and other obstructions. Combined with our advanced GIS Services, these survey tools can provide critical mapping of your project area.